Welcome to Northern California's premier 'back to nature' event property available for corporate retreats, weddings, festivals, conferences, camps and other creative events. Camp Navarro is ideally situated in the redwoods between world class wine country and the spectacular Mendocino coast. We create inspiring events that will leave lasting memories and impact. At this time, we are booking events for all of 2019. Come see why the Bay Area's leading corporations, schools, retreats and event promoters love Camp Navarro. 32 cabins plus over 100 idyllic 'glamping' style lodging units dot the redwood landscape during Spring, Summer and Fall accommodating groups of all sizes and our 200 acres easily accommodate festivals of 1000+ attendees. Our 'high season' weekends are typically reserved for larger groups while high season mid week and the stunning off-season allows us more flexibility on group size and budgets. We are just over a 2 hours drive from San Francisco, yet worlds away... Welcome! We provide lodging in up to 32 Cabins, 12 Adirondacks and 100+ Glamping Teepees and Tents plus unlimited open tent camping and RV spots. 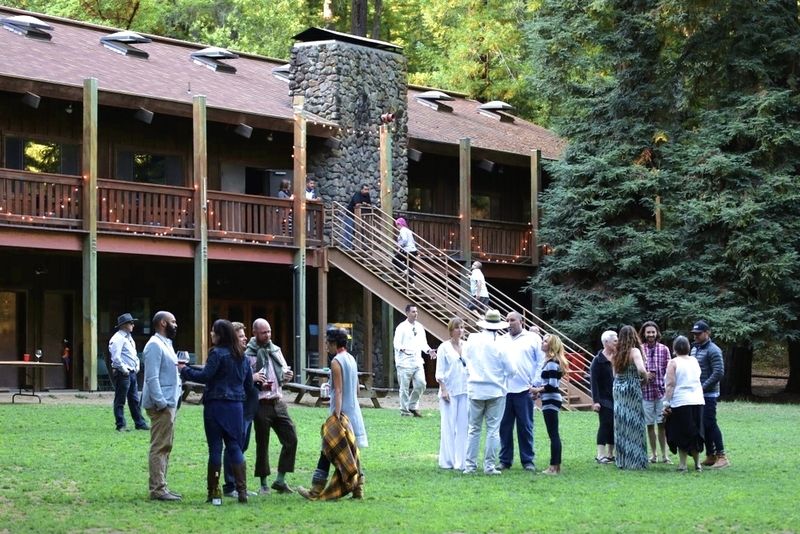 Our 10,000 square foot two level main lodge and dining hall is bordered by a gorgeous flat 2+ acre grass plaza area surrounded by Redwoods, picturesque Oak Trees and a river allowing for unlimited capacity and creativity regarding your event. 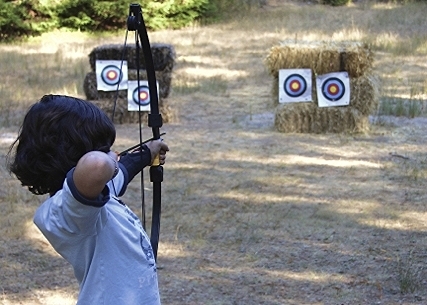 Camp Navarro produces memorable and fun events and experiences. We are a remedy to your normal, busy and often tech influenced life. Enjoy days filled with fun activities, adventures with nature and good old fashioned relaxation! Kick back in a hammock, dance under the stars and enjoy amazing food and good times with friends, family and colleagues. Camp Navarro has numerous indoor and outdoor settings available for your event in a variety of environments and sizes. From our massive 4600 square foot indoor lodge event hall to pristine expansive redwood groves, a 300+ seat amphitheater and riverside meadows, our property has endless venues and possibilities for meetings, music, yoga, receptions and whatever else you dream up. Weddings in the Redwoods for you and your closest friends. Think-Tanks and other creative events and campouts. Building on the magical setting that is Camp Navarro, our creative team will help you craft a professional yet relaxed event to help you 'connect', have fun, and be as productive or relaxed as needed. We serve amazing food, provide cool fun activities and have a variety of lodging that are idyllic, comfortable and timeless. Here are a few ideas of how our energetic and talented team can help you craft the ultimate camp adventure. We recognize that the design of your event will be unique and special as no two events are the same so pricing typically depends on type of event, length of event and number of meals.. For corporate or retreat pricing, we typically start with a standard package including lodging, catering, recreation programs and meeting space and equipment as needed. Pricing for a standard two night program can range from 175-275$ per night based on size of group and time of week/year. We typically only host one group/event at a time so large groups get lower pricing. Camp Navarro crafts once in a lifetime events for groups of all sizes. We regularly host events for Google, Airbnb, Y Combinator, Linkedin, Red Bull, Airbnb and we are the original home of Camp Grounded, and The Redwood Ramble and Camp Deep End festivals. Camp Navarro is dedicated to utilizing the property for a wide range of uses as well as the enhancement of the environment. In doing so, we will be ensuring the continued access and use of this property for generations to come. We are proud of the growing community of Vendors, Non Profits, local and federal agencies, local businesses and partners that make Camp Navarro possible. Being a camp volunteer is rewarding way to spend time at camp, get to know awesome people, and help create life long experiences for your self and our other guests. Please drop us a note to be added to our volunteer list.